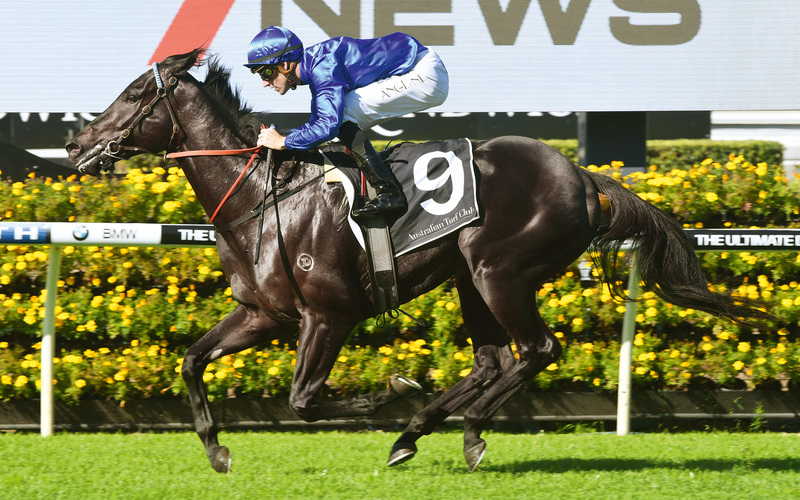 Tough and consistent son of Lonhro who hit the board in eight G1s from 1200m to 1600m. Rated 125 by Timeform, he easily won the G1 Randwick Guineas at three and was narrowly beaten in the Caulfield Guineas and Memsie. A half-brother to G1 juvenile Telperion. By LONHRO (1998) Horse of the Year in Australia, Champion three-year-old in Australia, Champion miler in Australia, Queen Elizabeth S (G1), Australian Cup (G1), Caulfield Guineas (G1), George Ryder S (G1), twice, etc. Sire of 1,530 foals aged three and up, including KEMENTARI, DENMAN, EXOSPHERE, IMPENDING, ARISTIA, BEADED, BENFICA, BOUNDING, MENTAL, PIERRO, THE CONGLOMERATE, ACADEMUS, BANISH, CARDSHARP, ENCRYPTION, GHISONI, HEATHERLY, HOLDING GOLD, LYRE, MESSENE, O’LONHRO, OBSEQUIOUS, OLD NORTH, PARABLES, PINWHEEL, RENAISSANCE, SESSIONS, SOUCHEZ, WAWAIL, etc. KEMENTARI (c Lonhro) Group winner, see Race record. TELPERION (c Street Cry) Winner (1100m) at 2, Lonhro Plate, 2nd Sires’ Produce S (G1). Sire. REGENT (g Lonhro) 2 wins at 2 to 4, 2018. NIGHT GARDEN (f Redoute’s Choice) 2 wins at 2 and 3. STERLING CITY (g Nadeem) Champion Older Sprinter in UAE, Dubai Golden Shaheen (G1), Premier Cup, Chinese Club Challenge Cup, Premier Bowl H, 2nd Jockey Club Sprint (G2), 3rd Chairman’s Sprint Prize. 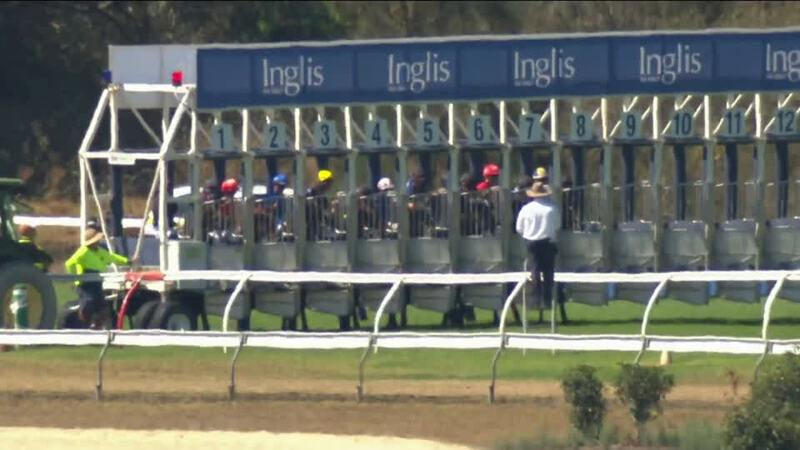 TIPUNGWUTI (g Fusaichi Pegasus) Tulloch S (G2), Adelaide Guineas, 2nd Talindert S, 3rd Memsie S (G2). WILD QUEEN (f Loup Sauvage) Group winner, see above. 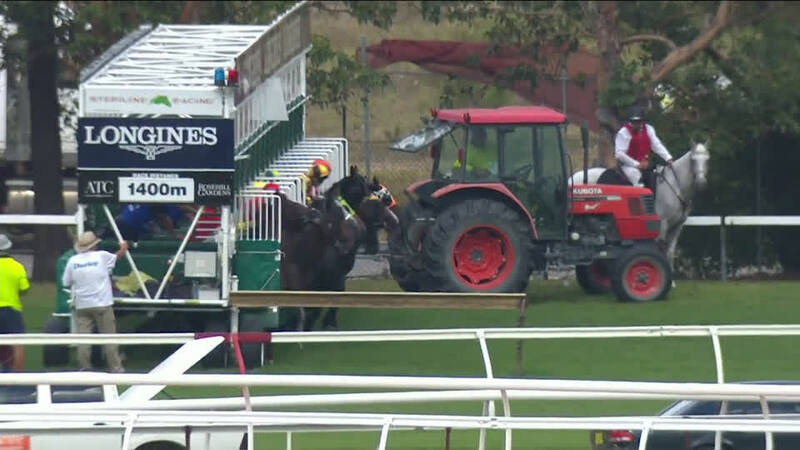 CUMBRIA (g Lake Coniston) Christmas H (G3), 2nd Balaklava Cup. Veewap (g Lonhro) 3rd TS Carlyon Cup (G3), Weekend Hussler S.
Prix du Sang (f Red Ransom) 3rd Manawatu Classic (G3). Happy Hussy (f Hussonet) 3rd Magic Millions Guineas. Kiloton (c Spinning World) 3rd Darley Plate (G3), Star Kingdom S (G3), Bill Ritchie H (G3), Moonga S (G3). L’ARTISTE (f Peintre Celebre) 2 wins at 4. Dam of: THE JUSTICE LEAGUE (g I Am Invincible) Wellington Guineas (G2), Northland Breeders S, Vive la Difference (f Choisir) 3rd Championship S (G2). Kementari stands his first season in 2019. Maiden race, 1400m, Randwick, by 4l, beating Sambro, Lord Cecil. Randwick Guineas (G1), 1600m, Randwick, by 1½l, beating Pierata, Trapeze Artist, Ace High, Siege Of Quebec, D’Argento, Capital Gain, Age Of Fire, Tangled. Hobartville S (G2), 1400m, Rosehill, beating Pierata, D’Argento, Trapeze Artist, Ace High, Luvaluva, Brave Song, Assimilate, Siege Of Quebec, Capital Gain. Eskimo Prince S (G3), 1200m, Warwick Farm, by 2¾l, beating Siege Of Quebec, Brave Song, Single Bullet. Caulfield Guineas (G1), 1600m, Caulfield, by a neck, to Mighty Boss, beating Catchy, Levendi, Holy Snow, Sircconi, Showtime, The Mission, Gold Standard. George Ryder S (G1), 1500m, Rosehill, to Winx, Happy Clapper, beating Invincible Gem, Clearly Innocent. Caulfield Guineas Prelude (G3), 1400m, Caulfield, to Perast, Summer Passage, beating Levendi, Invader. 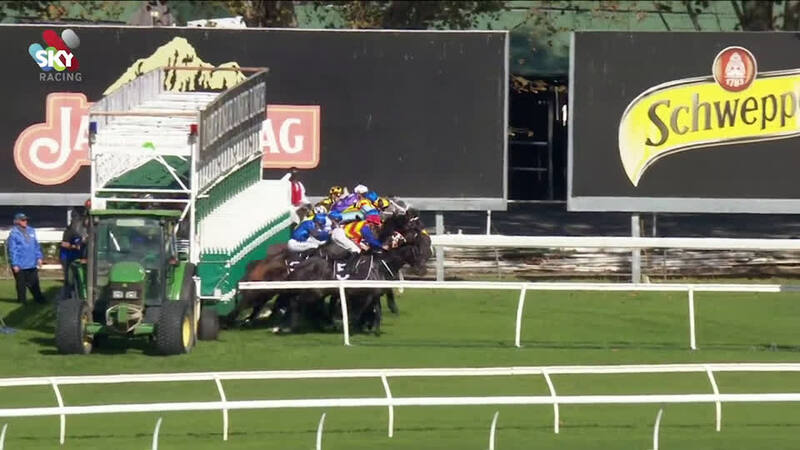 Run To The Rose (G2), 1200m, Rosehill, to Menari, beating Invader, Diamond Tathagata, Tangled. Memsie S (G1), 1400m, Caulfield, by a nose, to Humidor, beating Kings Will Dream, Vega Magic, Oregon’s Day, Black Heart Bart, Happy Clapper, Grunt, Jungle Edge, Dollar For Dollar, Showtime. C F Orr S (G1), 1400m, Caulfield, by ½l, to Manuel, dead-heating with Land Of Plenty, beating Brave Smash, Best Of Days, Material Man, Redkirk Warrior, Whispering Brook, Fifty Stars, D’Argento, Shillelagh. Missile S (G2), 1200m, Randwick, by a head, to Pierata, beating the Monstar, Lanciato, Showtime, She Will Reign, Music Magnate, Takedown. Manikato S (G1), 1200m, Moonee Valley, to Brave Smash, Spirit Of Valor, beating Spright, Invincible Star, Houtzen, Sunlight, Voodoo Lad, Jungle Edge, Tulip, Malaguerra, Intelligence Cross, U S Navy Flag. Winx S (G1), 1400m, Randwick, to Winx, beating Unforgotten, Ace High. Maybe Diva S (G1), 1600m, Flemington, to Grunt, beating Happy Clapper, Comin’ Through, Humidor, Black Heart Bart, Harlem, Pounamu.